Once you learned all the blackjack rules and memorized the strategies you are ready for the real money game. Well, almost ready. There are some interesting aspects, which the rules do not say and the strategies keep silence about. Those are the blackjack tips that help each and everyone who plays the game of blackjack and wants to learn how to win at blackjack. Certainly, you are to be very picky about these recommendations. Follow only the checked sources, listen only to the professionals who made a lot on their blackjack game. Actually it is a rule you are to learn by heart. Rules go first. Once you learn all the rules of the game, you can start moving the mountains. Pick the variation you like the most. It is essentially important for the game. If you are doing something you really like, you will do it much better. 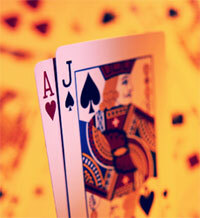 Learn the blackjack basic strategy (blackjack strategies). All other strategies are created on the basis of the basic strategy. It is the beginning of all the systems in blackjack. Once you picked the game you like, you should choose the strategy you would like to apply to your game. Do not apply card counting to the online games. The cards are shuffled every time, once a round is over. It is impossible to track the cards. If you are going to the land casino, you should keep in mind that drinking is not the best option. Once you decide that you want to win, put the complimentary drinks aside. The casinos provide free booze for the visitors, as it lowers their attention and your card counting will go down the tubes. Once you are playing in the land based casino, you should not touch the hand of a dealer. It is extremely rude. Usually, the cheaters do that in the past posting (cheating) scam. They totally paralyze the dealer for a few seconds and replace, add or take away the bets. If you are not a professional cheater, you should not do it. If you want to win at least something, you should not do it. If you want to come back to this casino again, you should not do it. Card counting is not supposed to be a cheating method in the casinos. But it does not mean that the casinos welcome it. They actually hate the card counters. So, if you are going to count cards in a casino, do it surreptitiously. Once they notice you are counting, they will do anything to make you run fast from the casino. Though there is a fact about the Griffin Investigations. It became bankrupt after a lawsuit, which was filed by two card counter who were kicked out of one of the casinos. But you may not be that successful. Manage your cash. Once you decide on a sum of money you are ready to spend today, you should stick to it. You should quit gaming when your bank roll is spent. Do not play “until I win another $100,” quit when you lose another $100. The statistics says that the losing is more probable than winning in gaming.